It’s no secret, data usage while traveling abroad is expensive. The problem becomes even worse when you travel to a country like Australia, which doesn’t offer endless options for free WiFi like we have in the United States. As we become more and more dependent on our phones and the information their connection brings, we find it harder and harder to function without them. This is especially true when it comes to getting around. I don’t know about you, but I use my maps app nearly every day! 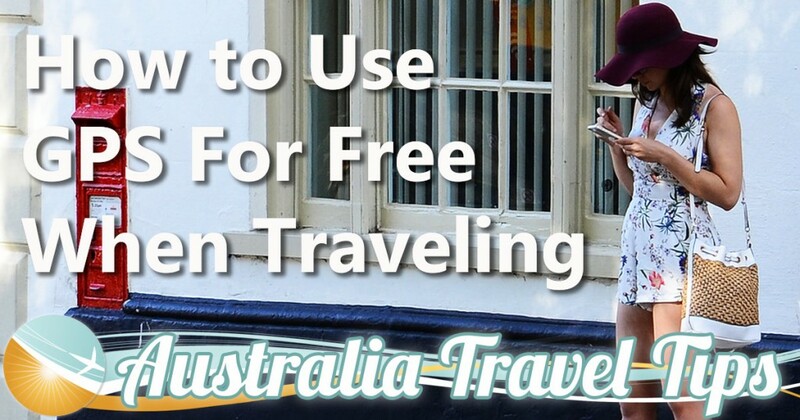 You need a way to use GPS for free when traveling internationally! Using your map app while roaming can incur heavy usage fees when traveling internationally. This is not due to the use of your GPS. It’s because you have to download the map data in order to understand where you are and where you want to go. Using the GPS to target your location is free. The simple solution is to download the map data before you travel. We suggest downloading your maps a day or two before you depart so you have the most up to date information. You can do this using WiFi while in Australia, but you’ll save a lot of time if you download using the fast connection speeds you have at home. Shared WiFi in hotels and airports can be frustratingly slow! 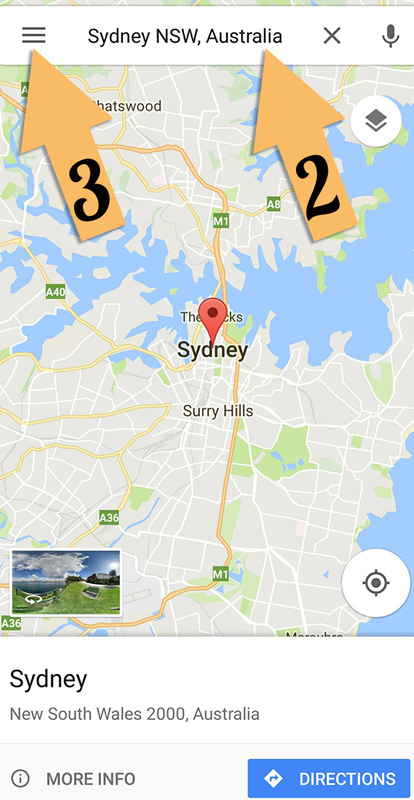 Here’s how it’s done using the popular Google Maps app. Step 2: Type in the city you plan on visiting in the Search Bar. Step 3: Tap on the little “hamburger” menu. 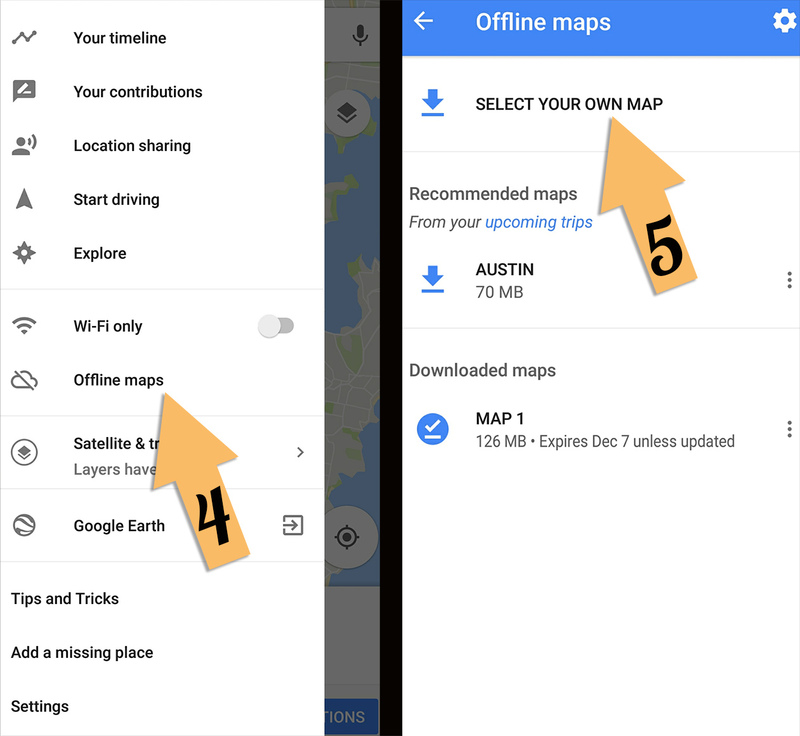 Step 4: Tap on “Offline Maps”. Step 6: Zoom in or out and adjust your map to represent where you will be while on vacation. The larger the area, the more memory the map will use on your phone. In Sydney, for example, you would likely want to include the CBD (downtown area) and areas along the Harbour up to Bondi Beach. By limiting the area, we’ll be saving 25MB of memory. Now, when you are in this area of the map, you will be able to use Google Maps as you normally would without using any data or WiFi. You might want to turn the mobile data off on your phone so you don’t accidentally use your data when you search outside your downloaded area. Step 8: Repeat this process for every city on your itinerary. Tip: If you’re driving and need a large area downloaded, the standard rectangle selection might create a map that is too large to download. Instead, break up your trip with multiple maps. Download smaller, overlapping areas along your route. These will combine in your maps app and allow you to explore the region along your entire route. Now that you can use GPS for free when traveling, you can travel carefree! Safe travels from your mates at About Australia!